The Acid Digest Laboratory is a purpose-build clean air environment designed for the chemical preparation of trace level samples for analysis by Thermal Ionization Mass Spectrometry. The laboratory is supplied with ULPA-Filtered air to reduce particles levels for trace analysis. Chemical work is performed in a ducted fume cupboard equipped with scrubber. 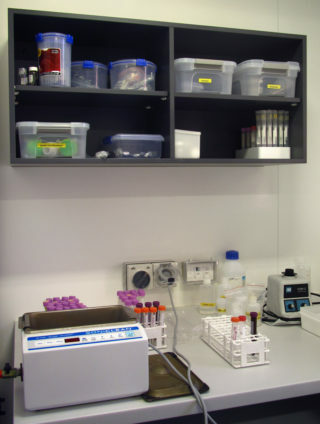 The facility is separated from outside environment to prevent contamination of samples and reagents.